Earlier today, I made the case that the recommendations from the Alzheimer's Society might be inadequate. They have advocated for dementia screening in persons over age 75, which is a step in the right direction. But as I wrote in Part I of this post, the dementia stage is too late; we need earlier intervention. I posted those thoughts after reading about the new recommendations, in this BBC article, which includes a second discussion that I think should be explored. It is the discussion about how to interact with patients who prefer not to know about their cognitive health. Unfortunately, the dogma of the 1990's, when it may have been better "not to know", still persists a decade later, when we are sure that early intervention against all causes of cognitive decline is beneficial. While that concern about interactions with unwilling patients cannot be dismissed, I would like to offer a constructive perspective on how to think about cognitive assessment in medical practice. 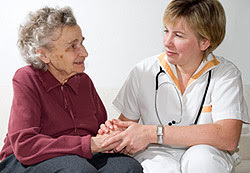 When a patient has a concern about their memory or other cognitive functions, and they visit a doctor to express those concerns, they have already declared their "wish to know". Those who would prefer ignorance do not seek their doctor's advice and care. Certainly, physicians should not submit their patients to unwanted tests about concerns that their patients choose not to address. In that regard, automatic testing at a certain age, would carry some complications. But I don't think that is what anyone is suggesting. We merely need to arm physicians with the proper tools and the appropriate guidelines, so that when memory concerns are raised, they know how to intervene most beneficially.